Lawyers, doctors, accountants, and members of other highly specialized professions need constant access to current volumes of critical reference content to make time sensitive decisions. This reference content is often found in massive content collections. eBook technologies that deliver entertainment content might appear to be the ideal solution. After all, a digital format will allow for hundreds if not thousands of titles in an easily portable footprint. In reality, without tools that specifically support reference needs, the use of digital delivery technologies delivers a slow and cumbersome user experience. Until Now. 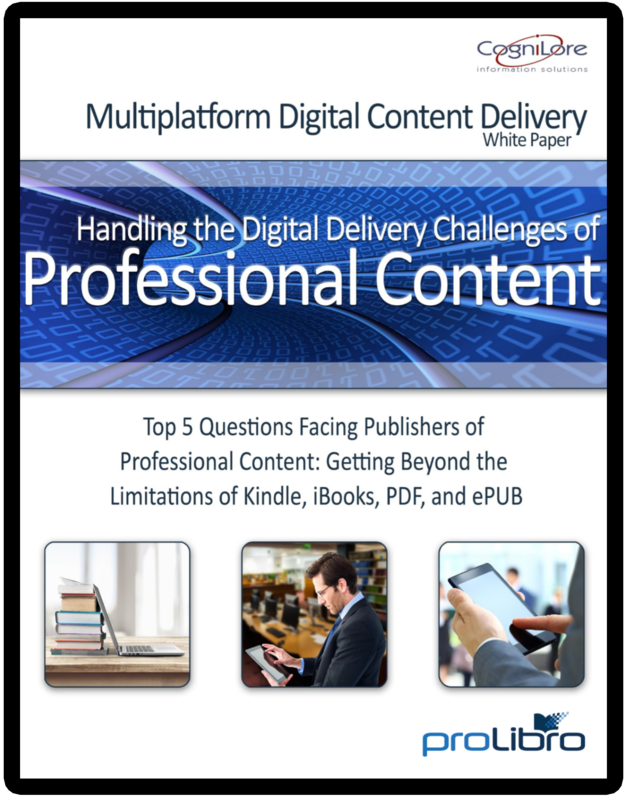 Professional eBook breathes new life into reference content. Nimble navigation, powerful search, excellent annotation capabilities, and cross-platform functionality accelerates access to content and delivers on the digital delivery promise. Receive our White Paper Today!